Like the original kit, the latest installment contains the Perfect Light Mineral Veil and two brushes (Angled Face and double-ended Precision Eye). It also includes a small clutch bag that's slightly different in style than the one include in the original. While the original TSV collection had red metallic packaging and brush handles, the items in the To the Nines kit have silver metallic packaging. 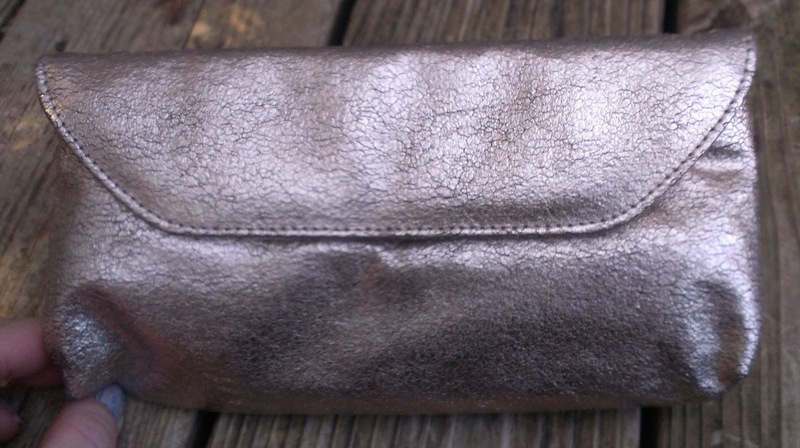 The clutch, though, is more of a pewter color than silver. The Ready Eyeshadow 4.0 in this installment is called The Statement Piece. Its shades are Haute, a shimmery pale silver; Tres Chic, a satin mid-tone peach; Invite Only, a shimmery taupe; and Couture, a deep golden brown. I love the colors in this quad. 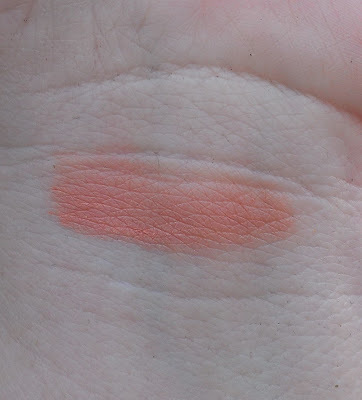 Tre Chic is a lovely peachy shade that brings out blue eyes beautifully, and Invite Only and Couture are nice natural shades that work for everyday. 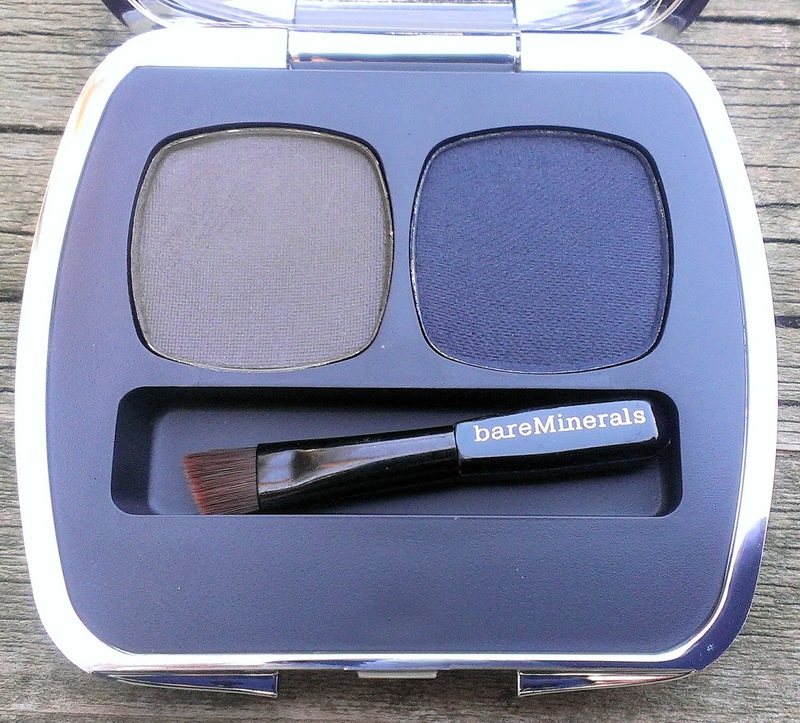 Haute is a lovely as an inner corner highlight because it's super brightening. 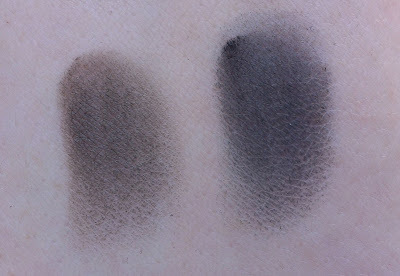 Like all of the Ready shadows, the formulas of these is fantastic -- creamy and easy to blend. However, I do have a pretty serious complaint about this palette. Three of the four shades are repeats from some of BE's Ready 8.0 Eyeshadow Palettes. Only Haute is a brand new shade. Tre Chic and Couture are both in The September Issue (still available), and Invite Only is in The Cocktail Hour (no longer available). 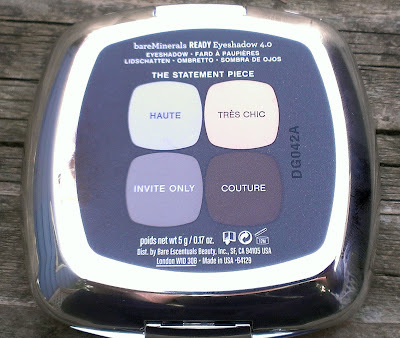 It's not a big deal for me -- the only repeat I have is Invite Only, which is a shade that I've used quite a bit so it's no hardship to have two of them. 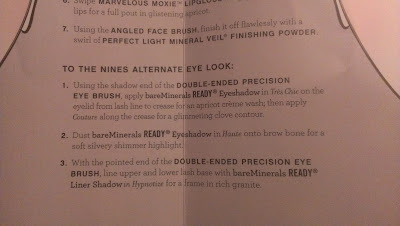 However, BE must know that many of the people who sign up for TSV AD shipments are serious fans of the brand who likely buy many of its offerings (particularly those marketed as limited edition, which I believe the Ready 8.0 Palettes usually are) so it's pretty crappy to only include one new shade in this quad. Maybe I'm naive but it never occurred to me to worry about the possibility of receiving duplicates before. I guess because I have quite a few of the Ready shadows in different forms (2.0, 4.0 and 8.0) and haven't received any doubles in AD kits before. Now, I'm going to try to track down the information for the remaining kits in this AD to see if there are other repurposed shades that I might already have so I cancel the shipment if necessary. If you're signed up the AD, you may want to do the same. 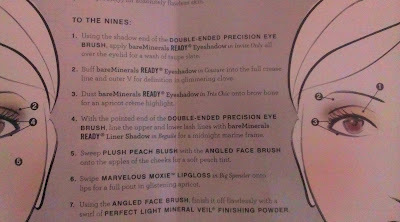 All that said, if you don't have many of the Ready shadows, there's no need to worry. These shades are lovely and the formula is fantastic as always. The other eye product in the To the Nines kit is the Ready Liner Shadow 2.0 in The Smoke & Mirrors. 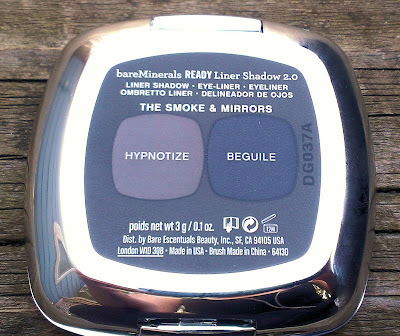 It includes Hypnotize, a dark gray brown; and Beguile, a deep midnight blue/almost black. I frequently use shadow as liner (because I'm liner challenged, and it's so much easier to clean up shadow than pencil, gel, liquid, etc.) so I find these little compacts pretty convenient. 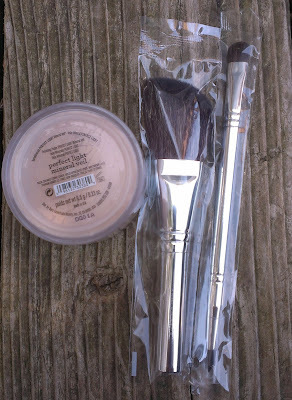 I also use them to deepen up the crease or outer V sometimes. The shades in this kit are especially nice if you have fair or light skin since they're a little softer than your usual brown or black. Beguile is my favorite because I'm just a sucker for deep, dark navy or midnight blue liner. 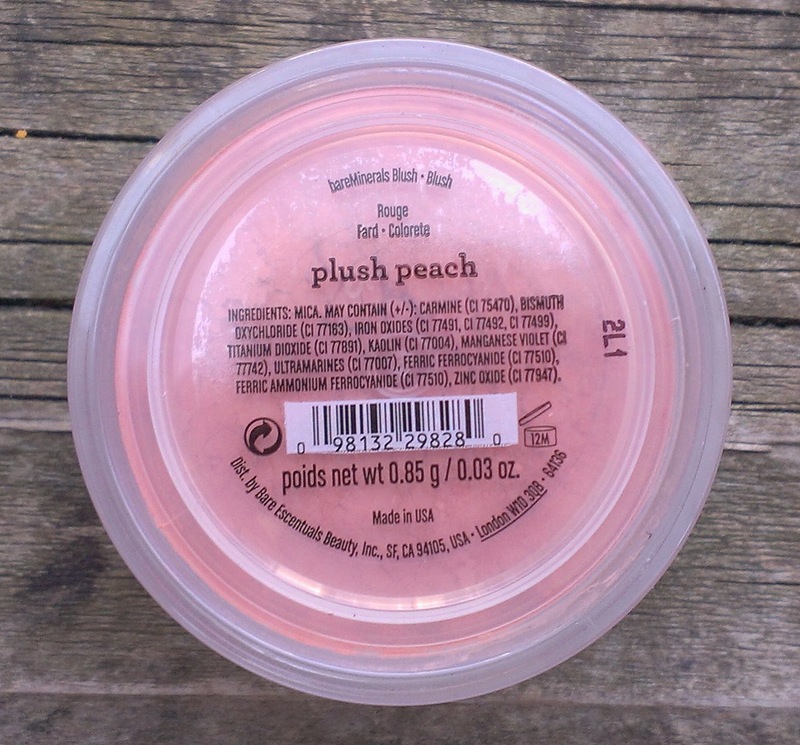 The blush in the kit is BE's traditional loose formula, and the shade is Plush Peach, a bright peach. 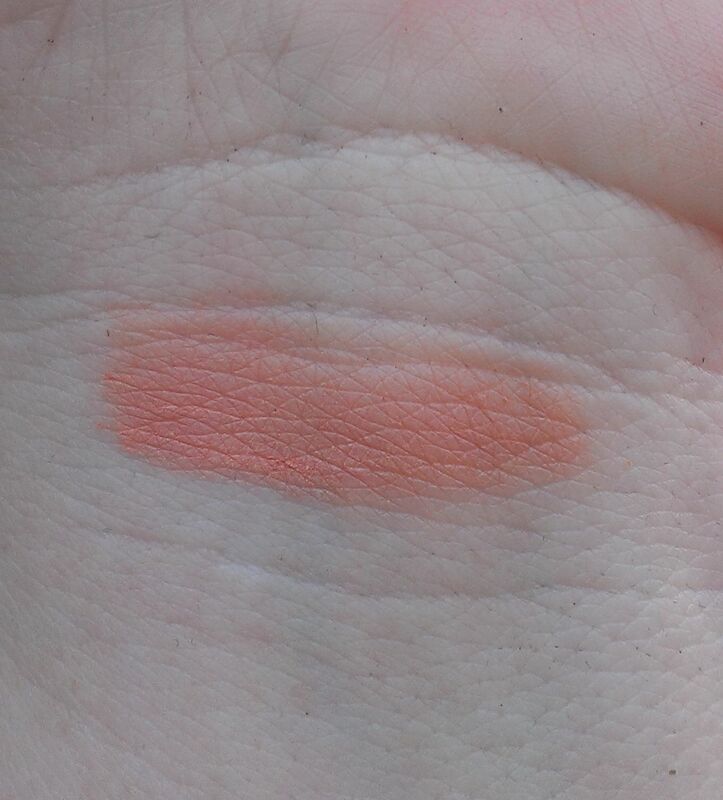 Seriously, it's a peachy shade so you know it's a match made in heaven for me. 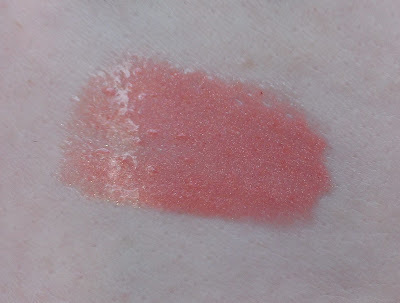 But what I love about it is that it's slightly brighter than most of the other peachy blushes I have -- I think because it has some orange-y tones to it -- so it just lights up the face. 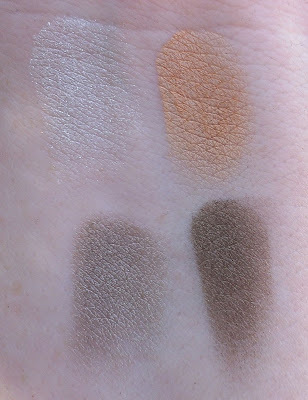 It's also pretty pigmented so I think it would work well for medium and darker skin tones too. Fair skinned folks, use a light hand with this one or you may wind up with clown cheeks (like I did the first time I used it). 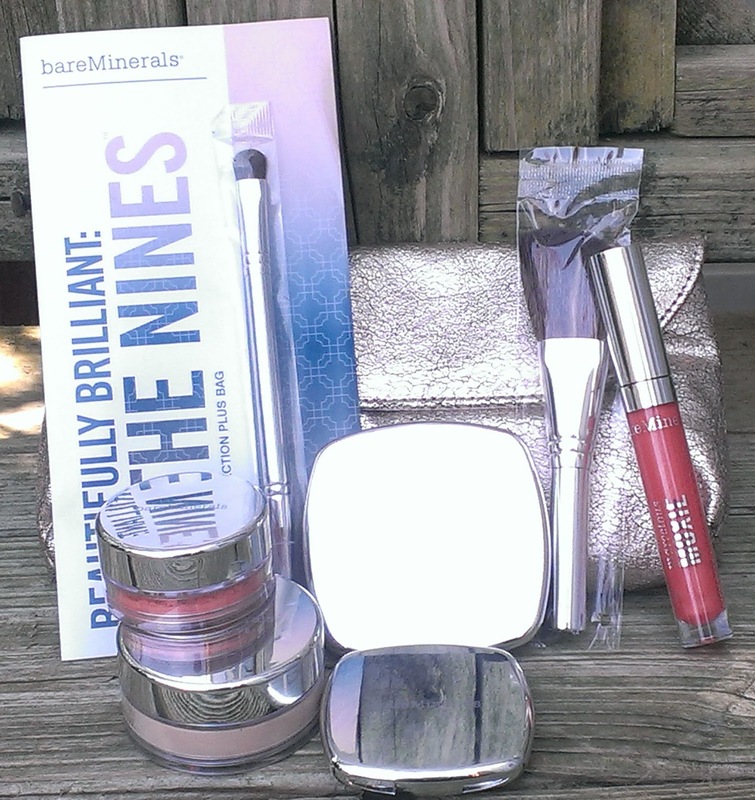 The final item in the kit is the Marvelous Moxie Lipgloss in Big Spender. I hate to sound like a broken record, but this is another shade that I'm absolutely in love with it. Like the Plush Peach blush, Big Spender is a brighter peachy/coral tone with subtle gold shimmer throughout. It is absolutely lovely and will be particularly love for summer, I think. Especially if you tan ... which of course I know nothing about. Ed. Note -- Laura asked in the comments below if I had the look ideas from the TSV's brochure so I'm adding photos of each. Enjoy! All in all, I love the shades in this kit. I'm just a little ticked about the repeat shades in the Ready 4.0., though grateful I only have one duplicate. What do you think about the colors in the AD shipment? Very pretty blush and lip gloss! I got mine yesterday and wore the alternate eye look yesterday. I love the whole set and have none of these items so it was a definite win-win for me. 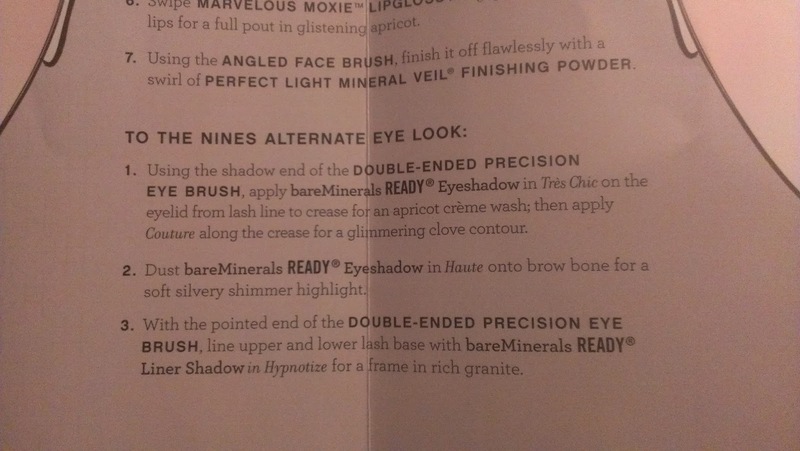 I don't buy the readies singly so no dupes for me but I will say that I saw on mineral madness, someone got a list of most of the items, and all of the quads only have one new shade. So if you buy a lot of them, you're gonna have some dupes for sure. 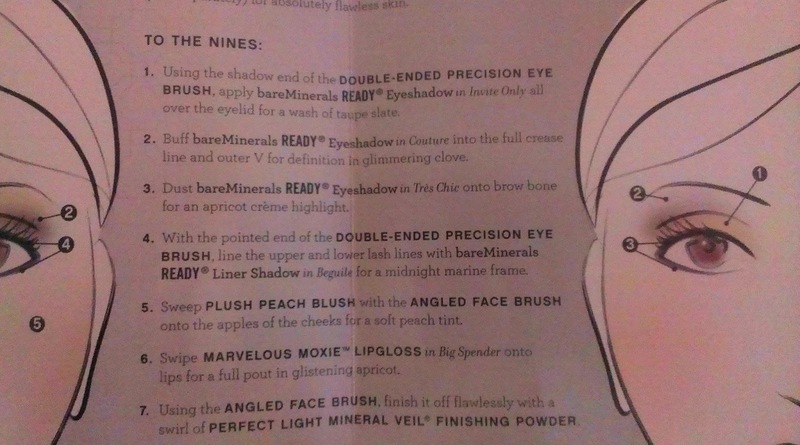 I am super fair and quite like the blush by the way. I have freckles so my blush usually has to be stronger. Well, now I'm really miffed. LOL Only one new shade in each quad? That's pretty crappy, if you ask me. I'll forgive BE because I love the brand but I think they could have done a better job. 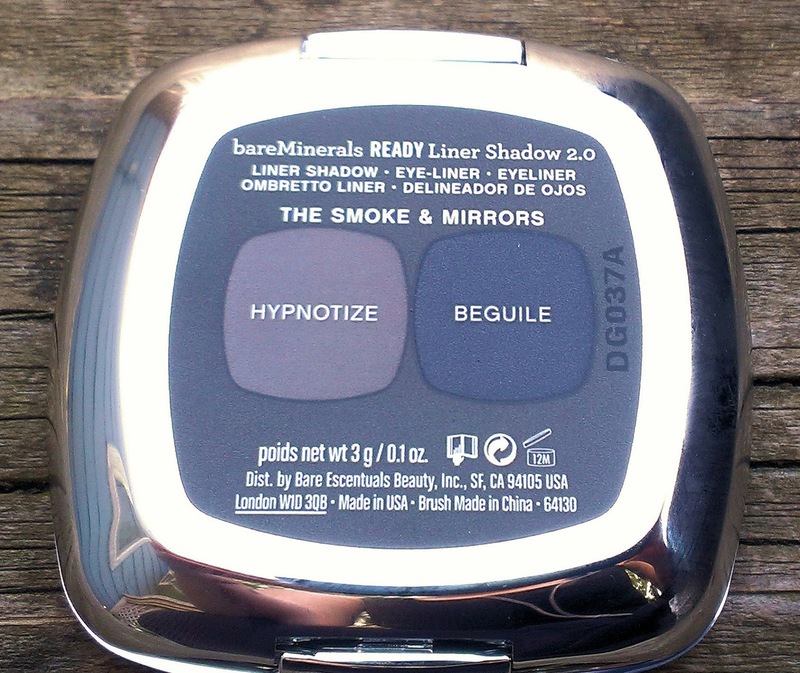 I didn't get this, because until I received some Ready shadows as an Easter present (makeup instead of candy? No problem! 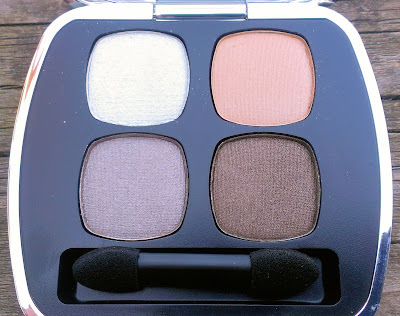 ), I had absolutely no interest in the Ready line -- I left pressed makeup behind when I started using BE 10 years ago, and with hundreds of shadows, I didn't need any more. Seeing these, I'm almost regretting my decision. I only really want the shadows/liners and MV -- I don't use Moxie, and I have enough brushes from the kits I've bought over the years to open my own store. The dupes? BE knows that's a problem, since we've been complaining about that for a very long time. People buy ADs expecting new products. If there's foundation or MV included, you don't usually mind getting the same one in each shipment, because those are staples -- but color cosmetics? No -- they all need to be new in an AD. Release the shades to open stock later (which should be standard, honestly), but don't promote the AD and then give people dupes, especially in a palette (at least a dupe of loose minerals can be sold or gifted -- you're stuck with what's in the palette). I couldn't agree with you more. Ticking off loyal customers just seems like bad business to me. Do you by any chance have the look brochure that came with this set? I missed this set but bought it off ebay. It didn't come with the look ideas.